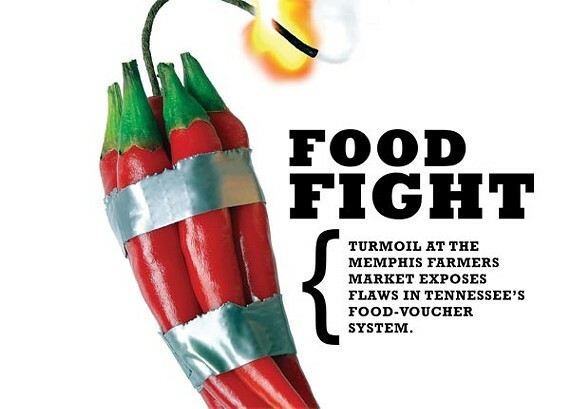 Turmoil at the Memphis Farmers Market exposes flaws in Tennessee’s food-voucher system. These days when you hear the phrase "volatile market" you might have to stop and ask for clarification. 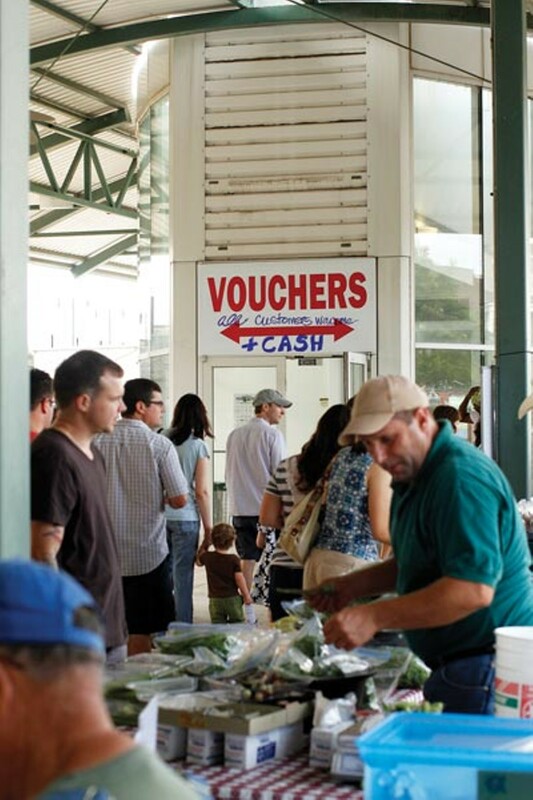 That's because last month the downtown Memphis Farmers Market (MFM) was rocked by allegations of racism and classism, after an influx of senior citizens flocked to the market on July 23rd to use their Senior Farmers Market Nutrition Program (SFMNP) vouchers. The crowding, caused by long lines of seniors waiting to use their vouchers, sparked an internet donnybrook, with commenters reproaching the market and each other on MFM's Facebook page and The Commercial Appeal 's website. "Just like free Tuesdays at the zoo," wrote one commenter. "Around this entitlement town, when you give something for free, expect the worst behavior." "It was a nuisance!" wrote another. And somewhere in the midst of the mudslinging and anonymous barbs, we lost sight of the most important thing: Hundreds of seniors, many of them in wheelchairs or walkers, waited in line for as long as three hours in the heat to use $20 worth of farmers market vouchers. The majority of them were from the very Memphis food deserts — areas with few or no options for fresh foods and produce — we reported on last year around this time. An ambulance was called when one of the elderly patrons fainted from the heat. Those at the end of the line found that when they made it up to the vendors, the four farmers who could accept SFMNP vouchers had sold out of their produce. "We told them they could still make it to the Agricenter, which doesn't close until 5," says MFM volunteer Kelley Morice. "But many of them said they couldn't afford the gas to drive there. 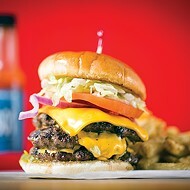 Not for $20 in vouchers." 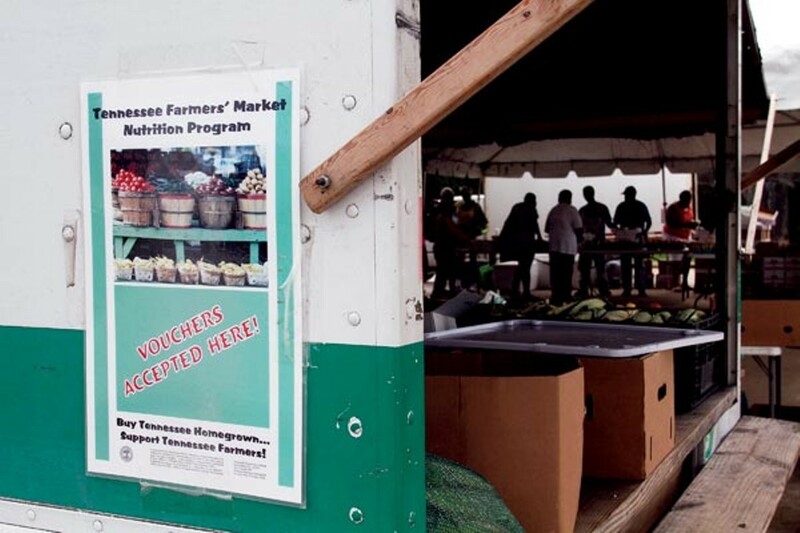 It was a perfect storm, brought on by long-standing inequities in our food system, the state of Tennessee's decision to limit voucher use to food grown only by Tennessee farmers, the closing of an option to use vouchers on roadside stands, miscommunication, and an inefficient and prohibitive farmer certification system. And the fact that these forces all came to a head at one of the city's most pleasant and well-organized markets? Well, that made the clash all the more striking. Morice was one of the many MFM volunteers who worked to make the market run as smoothly as possible in the face of an unexpected 60 percent increase in patrons. Market volunteers handed out more than 500 bottles of water that day, tried to explain the situation to the patrons, and called on extra volunteers for the July 30th market, but by all accounts, the Memphis Farmers Market was blindsided. "We had no inkling that there was any change to expect this summer versus prior summers," says Beth Brock, president of the Memphis Farmers Market board of directors. "We had volunteers quitting. On every level, we had people at the market getting upset. We didn't know what was going on." The sudden chaos at the MFM was the result of a seemingly minor change in the Tennessee Health Department's policy toward roadside vendors. Without apprising the local farmers markets of the change, the Tennessee Department of Health eliminated temporary roadside produce stands from the SFMNP, deeming them unsafe for seniors and shutting down what had up to then been an easy access point for seniors to use their vouchers. "Had we known, we could have prepared for it," Brock says. "Even just an email, not even at the first of the year, just 60 to 90 days in advance, we could have prepared." Ann Hopton, who oversees the Senior Farmers Market Nutrition Program on the state level, said she could not speak to me directly, but Andrea Turner of the media relations department at the Tennessee Department of Health says the new rules are intended to keep seniors safe. "Some of the stands we felt presented a safety hazard," Turner says. "Permanent roadside stands take into consideration low traffic, making sure there's adequate parking, things of that nature. With temporary stands, that was not as much the case. Based on our experience and the information we were receiving, the [temporary stands] were too close to traffic and you had traffic congestion, which also made it dangerous for the seniors." When asked if stricter safety regulations could have been instituted to prevent the total shutdown of temporary roadside stands, Turner says, "It would be inappropriate to speculate what could be possible. We're always looking for opportunities to enhance our program." "[The roadside farmer] is a key person to be involved because that person can go into neighborhoods," says Brock, touching on the fact that the majority of seniors in the SFMNP live in food deserts. "That person could be much more easily accessed for the seniors participating in the program." Norma Daniels of Frayser is one such senior. She has been part of the Senior Farmers Market Nutrition Program for two years, and this is her first year at the Memphis Farmers Market. Her vouchers used to go to eligible roadside stands near her community. "It was convenient," she says, as a vendor loads a watermelon into her rolling shopping basket. Kay Booker, who was helping her mother use her SFMNP vouchers at the July 23rd market, waited in line for an hour and a half before reaching the produce. Once she got there, she immediately recognized the problem. "They don't have enough vendors," says Booker, who has since joined as a volunteer to help incorporate voucher patrons into the market. She helped set up the organized lines and cluster of SFMNP vendors near the air-conditioned facilities, which has calmed things down at the market. 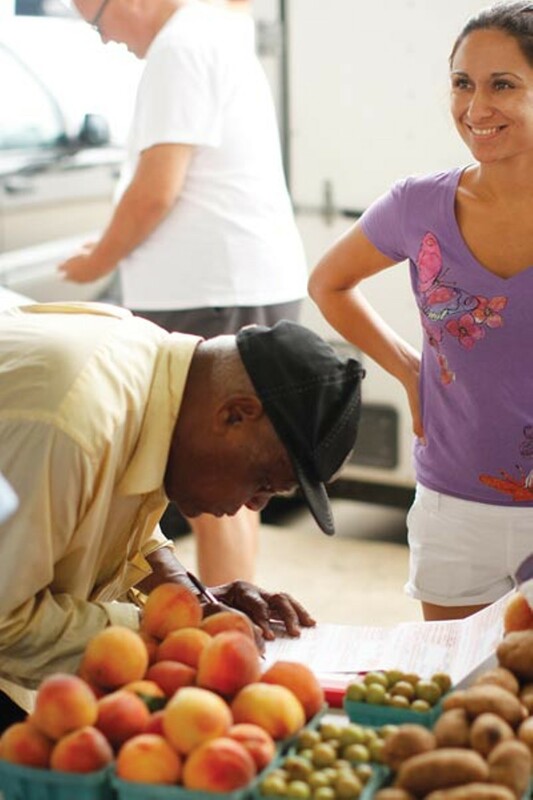 Since July 23rd, the Memphis Farmers Market has received help in the form of some last-minute additions of SFMNP-eligible farmers at other markets. In July, seniors could only find SFMNP vendors at the Agricenter and the Memphis Farmers Market; now they are able to use their vouchers at Urban Farms Farmers Market in Binghamton on Saturdays and Tuesdays and at the South Memphis Farmers Market at South Parkway and Mississippi Boulevard on Thursdays. The South Memphis Farmers Market was able to get SFMNP-eligible farmers mid-season, after 200 seniors showed up to use their vouchers at the South Memphis markets, only to find no eligible farmers present. Seniors flooded the Shelby County Health Department with phone calls until they found an eligible vendor to sell at their market. It was both a telling struggle for a more efficient SFMNP and a testament to the power of angry seniors. 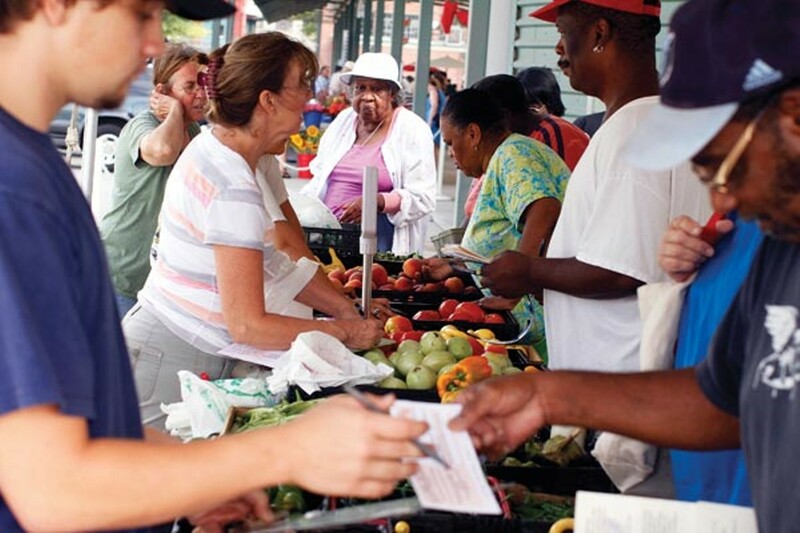 Despite this victory, Booker's observation that there were not enough vendors at the July 23rd market was apt, pointing to a larger question of how the Senior Farmers Market Nutrition Program is administered. In 2010, the Tennessee Department of Health counted 95 eligible farmers in the SFMNP. That year there were 11 eligible farmers in Shelby County. This year, only seven farmers were deemed eligible to accept SFMNP vouchers. And of the 14,345 seniors in Tennessee who participated in SFMNP in 2010, 8,835 of them resided in Shelby County. In other words, Shelby County has the bulk of the seniors involved in the Senior Farmers Market Nutrition Program yet a disproportionately small number of eligible farmers. Aside from eliminating roadside vendors, the next big problem for Shelby County's SFMNP is geographic: Memphis sits on the borders of Arkansas and Mississippi, but Tennessee has designed its program so that only Tennessee farmers are eligible to receive SFMNP vouchers. 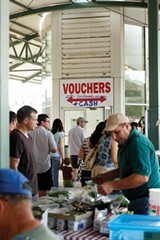 Of the 22 produce farmers at the Memphis Farmers Market, half are from Arkansas or Mississippi. Keith and Jill Forrester of Whitton Farms, for instance, are well-known figures in Memphis' local food scene, the farmers behind Trolley Stop Market and a strong Community Supported Agriculture (CSA) program. Though the two maintain an active presence at farmers markets around town, they're ineligible for the SFMNP, because their farm is located in Arkansas. "We'd love to participate if the rules changed," says Jill Forrester, pointing out that the boost in senior patrons at the MFM has been helpful for more than just the four eligible farmers. "Those seniors have cash, too." The Tennessee SFMNP only accepts Tennessee farmers, but the federal Food and Nutrition Service, the granting organization from which Tennessee receives money for the program, does not mandate this policy. "The state has a lot of leeway in how they administer the program," says Josephine Alexander of Grow Memphis, a program of the Mid-South Peace and Justice Center devoted to creating a greener and more equitable food system in Memphis. "It's literally a box that they check on the application. It asks, 'How do you define local farmers?' And it says 'within the county, within the state, state and adjacent counties in other states, or other.' There are a lot of states that accept farmers from other states to participate." Tennessee's deadline for applying to receive funding for the SFMNP is November 15th, and Alexander hopes to institute some changes before the application is submitted. "I tried to talk with Ann Hopton of the Health Department about it and asked her what we have to do to get farmers from out of state enrolled because we just don't have enough farmers in Shelby County," Alexander says. "And her response has been, 'Well, the [voucher] usage rate is really high. 93 percent of the dollars that go out in Shelby County are getting used, so there's no problem.'" Turner, of the Tennessee Health Department, says the program is administered in a way that benefits Tennessee farmers. "Initially, when the program began we were looking at not only making this program beneficial for seniors who live in the state, but also consideration for farmers, to make the program mutually beneficial," Turner says. But what if these economic incentives for Tennessee farmers are at odds with the goal of the program? As stated on the U.S. Health Department website, the Senior Farmers Market Nutrition Program is intended "to provide low-income seniors with coupons that can be exchanged for eligible foods at farmers' markets, roadside stands, and community supported agriculture programs." 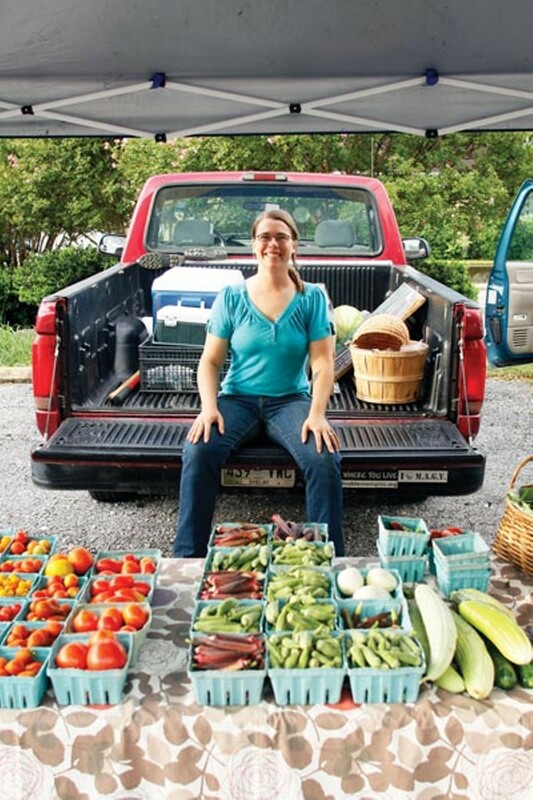 Tennessee has effectively eliminated roadside stands and CSAs from the equation. And when asked about the lack of SFMNP-certified farmers serving Shelby County, Turner stuck to her guns, reiterating that the state has no limit on the number of Tennessee farmers who can apply to the program. But enlisting more Tennessee farmers has its challenges. "The word that's out there is, 'That's a huge hassle, I don't want to deal with it,'" says Rosalie Bouck, market manager at Urban Farms. "Any farmer who's dealt with it will have horror stories of all the forms that have been returned to them or the vouchers that weren't ultimately accepted." Henry Jones of Jones Orchard participated in the program for six years before finally calling it quits in 2007. "I'm done," Jones says. "There's no way I'm coming back." Jones says he was tired of all the red tape surrounding the SFMNP. For instance, seniors cannot sign the vouchers in advance or even fill them out while they wait in line because the farmer has to witness the signature. Then the farmers must be meticulous about the date and the signatures or risk having the voucher voided by the health department and treated like a bounced check by the bank. "If anything was illegible, [the Health Department] would say, 'Well, we can't really read that, so we're going to reject it,'" Jones says. "You wouldn't get your money. And then the bank would charge you a service fee, too. It's just not worth it." Tennessee farmers are also required to attend yearly training sessions to be eligible for the program. The two-hour session takes place in June — a particularly busy time for farmers — and many veteran participants feel the yearly obligation is excessive. "To me it was a waste of time," Jones says. "It took time away from doing what we do, which is farm." "The training is mandatory and happens every year," Alexander says. "But it doesn't have to. The state can also choose to certify a farmer once every three years. They don't have to recertify every year." Moreover, Alexander believes communication between the health department and farmers about training sessions has been lax. "Mostly, there's not good information transfer about the training and the opportunity to get farmers involved," she says. "It's very difficult for farmers to find out about the training." This year, when Alexander asked to be included on an email list about the upcoming training session, she was declined and told that the information was for farmers only. Rosalie Bouck of the Urban Farms Market was similarly excluded from updates about SFMNP training. The two, who work with farmers on a regular basis, say they were simply trying to get information out about upcoming training sessions, to pass along to farmers and encourage participation in the program. The miscommunication does not end there. The SFMNP vouchers themselves are almost identical to other FNS program vouchers that can be used in grocery stores, and many seniors have been turned away at the register for trying to use their SFMNP vouchers at a grocery store. Last year, the vouchers came with a packet of information describing where the SFMNP-certified farmers were located and had the wrong address for the Memphis Farmers Market — instead of the Central Station Pavilion, seniors were directed to the Center City Commission on the opposite end of Main Street. "The Center City Commission has actually had folks come to the office," Brock says. "They just explained to them where the market is." For the past two weekends, the Memphis Farmers Market has returned to the smoothly running market its patrons are accustomed to — albeit with a slightly lower turnout than before. Market manager Maryanne Lessley is confident that attendance numbers will start to crawl back up once any negative associations with the market fade. But Beth Brock won't easily forget what happened at the Memphis Farmers Market last month. "There's an obvious need for produce farmers to participate," Brock says. "I look forward to helping [the health department] understand how this could be better, because next summer, it has to. We had seniors waiting in line for three hours. That's not okay."